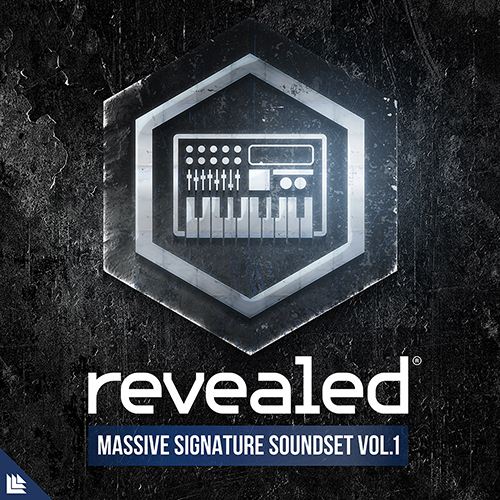 Revealed Massive Signature Soundset Vol. 1 is a collection of 128 presets for your next Revealed track. You’ll find a spectacular array of basses, leads, pads, and plucks – all easily customizable to fit into your music. Additionally, each preset is assigned all eight macro controls programmed to give you an abundance of inspiring performance shaping features. You have everything right at your fingertips and the ability to select a variety of new and advanced presets found inside existing and upcoming Revealed tracks. Revealed Spire Plucks Vol. 3 is a collection of 32 plucks to capture the signature Revealed sound in your next track. You’ll find a spectacular array of stunning plucks to use in your breakdowns and to add to your top leads – all easily customizable to fit into your music. Among every preset having modwheel assignments, each preset is assigned all four macro controls programmed to give you more creative possibilities to shape your sound just the way you want it. The Alonso Massive Dreamcatcher Soundset is built upon organic textures, spacey ambiance, and dreamlike atmosphere. It’s a vivid tool in creating some of the most angelic and blissful-detailed sounds imaginable. Additionally, each patch is assigned to all 8 macros to add inspiring performance shaping features that you won’t find anywhere else. Our second Bundle contains ALL of our critically acclaimed Sample Libraries that we offer. Unless specified on their individual product page, libraries are natively in 24 bit, 48 kHz, .WAV format. The normal price for these products is $623, but this Bundle offers a 30%+ discount for a total of just $434! This bundle is designed for the customers who can’t get enough of Spire. It contains ALL five of our Spire Soundsets, including the Maarten Vorwerk, Thomas Gold and Morgan Page [Artist Series] Soundsets. The normal price for these products is $381, but this Bundle offers a 30%+ discount for a total of just $264.